Your impudent attempt in last week’s ‘Century’ to justify scabbing is only equalled by your expressed sadistic pleasure at the confusion your lying campaign caused among innocent, easily led citizens. Your degrading attempt to falsify the issues before the people received a deserved answer. The electorate has spoken in plain language. The unprecedented victory of the McKell Government, in spite of your worthless machinations, should forever debar you posing as a Labor man. In 1943, Ormonde supported the expulsion of his former mentor, Lang, from the ALP. For twelve months, until August 1947, Ormonde was a feature writer for the Sydney Morning Herald, contributing a weekly column: ‘Labour Man’s View’. coming home from a suburban branch meeting of the Labor Party in Sydney and saying something to the effect: ‘A group of boys from the local church joined the branch tonight. I tell you, they are trying to take over the party’ … My father said he objected because the youths were joining the party, not to associate themselves with the party’s general social and political objectives, but to fight Communism. During late 1954 and 1955 I worked closely with Jim Ormonde … His press contacts were quite remarkable. More than any other person, Jim masterminded the anti-Grouper cause in the daily press. I sat in his office on many occasions and the several telephones on his desk never seemed to stop ringing. On one occasion Jim had Doc Evatt on one line and Alan Reid from the Daily Telegraph on the other. It was a political education to watch Jim operate. He was a cautious man, but a remarkable communicator behind the scenes. In 1956 the Federal Executive of the ALP intervened in New South Wales, and set up a ‘balanced’ executive composed of those both for and against Evatt, controlled by a centre group around the party officers. Ormonde, as one of two vice-presidents, remained influential, holding this position until 1958. 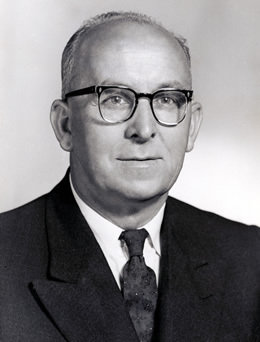 In December 1957, Ormonde was preselected as a Senate candidate for the federal election of November 1958. Despite the sectarian bitterness of the preselection contest, his status as backroom operator and troubleshooter had been enhanced by the turbulence of the mid-1950s. In July 1958 Ormonde was appointed by the New South Wales Governor to the casual vacancy in the Senate caused by the death of W. P. Ashley, and he was sworn in the Senate on 26 August. His success at the November federal election meant that his six-year term was extended by another year. the industrial groups failed because they committed the cardinal offence, the great error in judgment, of localizing their point of view to a single object—the defeat of communism. But communism cannot be defeated that way. It can be defeated only by a broad policy which will bring security, happiness and comfort to the Australian people … I have spent a lifetime trying to beat the Communist party, and I was sorry when my methods—they were largely my methods because I was one of the architects of the opposition to communism in New South Wales—were thrown out for the methods of people who knew nothing of the problem with which they had to deal … Their methods were infantile, hence the trouble in the Labour party and the fact that the Liberal–Australian Country party Government is in office. In 1947 Ormonde had been appointed Public Relations Officer to the Joint Coal Board by the Chifley Government and he was a key ally of Chifley in dealing with the 1949 coal strike in New South Wales. Reappointed by the Menzies Government in 1949, Ormonde enjoyed a strong working relationship with the Minister for National Development, Senator Spooner, sharing Spooner’s desire to rid the coal industry of communists. In the Senate, Ormonde used his detailed knowledge of the coal industry to attack the Menzies Government’s policies in that area. In 1959 he said that ‘a colossal amount’ still remained to be done to modernise local coal production methods and reduce waste, and referred to the creation of plastics and synthetics from coal by-products in the USA. Ormonde described the powers given to judges in the Conciliation and Arbitration Commission as ‘sheer lunacy’. He wondered how they could possibly determine difficult economic questions beyond their area of expertise, and suggested that the court have its own economic advisers. Though his committee service was limited, he spoke well in debate and took a keen interest in health, and the high cost of health insurance, medicine and drugs. He was a strong opponent of the Vietnam War. In April 1970 Ormonde announced that for personal reasons he would not seek re-election to the Senate. His health was not good, and there had been suggestions that the New South Wales party may not have preselected him. He was still in office when he died on 30 November, at Hughlings Private Hospital, Darlinghurst. He was survived by Margaret and their four children. Requiem Mass was celebrated at St Canice’s Church, Elizabeth Bay, conducted by Ormonde’s brother, Father Tom Ormonde, and was followed by burial at the Northern Suburbs Lawn Cemetery. Ormonde was remembered as the friend and confidant of Ben Chifley and H. V. Evatt, and for his skill at backroom politics. His fellow senators referred to his good humour and complete absence of rancour. In 1972 his son Paul published The Movement, whose dedication referred to his father as one ‘who always distinguished between the Church and its leaders’. CPD, 16 Feb. 1971 (R), pp. 4–6; ALP, NSW branch, Biographical sketches, MLMSS 2083/400, item 1022 (KH 7400, folio 209), SLNSW. Bruce Duncan, Crusade or Conspiracy? Catholics and the Anti-Communist Struggle in Australia, UNSW Press, Sydney, 2001, p. 25; Leslie Haylen, Twenty Years’ Hard Labor, Macmillan, South Melbourne, 1969, pp. 26–7; J. T. Lang, The Turbulent Years, Alpha Books, Sydney, 1970, pp. 267, 295; Standard Weekly (Syd. ), 8 June 1944, p. 2; SMH, 7 June 1943, pp. 4, 7, 21 Aug. 1947, p. 2. ALP, NSW branch, Central executive minutes, 1942, MLMSS 5095, item 464x, SLNSW; CPD, 16 Feb. 1971 (R), p. 4, 1 Mar. 1962, p. 286, 26 Aug. 1958, pp. 214–17; Tom Uren, Straight Left, Random House, Milsons Point, NSW, 1994, p. 83; Paul Ormonde, The Movement, Thomas Nelson (Australia), Melbourne, 1972, p. 34. Robert Murray, The Split: Australian Labor in the Fifties, Cheshire, Melbourne, 1970, pp. 122–4, 129, 177–9, 183, 189, 281, 289–91, 299–301; Clyde R. Cameron, The Confessions of Clyde Cameron 1913–1990, as told to Daniel Connell, ABC Enterprises, Crows Nest, NSW, 1990, p. 120; Uren, Straight Left, p. 83; Graham Freudenberg, Cause for Power: The Official History of the New South Wales Branch of the Australian Labor Party, Pluto Press, Leichhardt, NSW, 1991, p. 234; Michael Hogan and David Clune (eds), The People’s Choice: Electoral Politics in 20th Century New South Wales, vol. 2, Parliament of New South Wales and University of Sydney, Sydney, 2001, p. 360; ALP, NSW branch, Central executive minutes, 1956–58, MLMSS 5095, items 467x–468x, SLNSW. Sun-Herald (Syd. ), 24 Nov. 1957, p. 9; CPD, 26 Aug. 1958, pp. 216–17. ALP, NSW branch, Biographical sketches, MLMSS 2083/400, item 1022 (KH 7400, folio 209), SLNSW; SMH, 1 Dec. 1970, p. 9; Sun (Syd. ), 30 Nov. 1970, p. 8; Sun-Herald (Syd. ), 15 Dec. 1957, p. 26; Tom Sheridan, Division of Labour: Industrial Relations in the Chifley Years, 1945–49, OUP, South Melbourne, 1989, pp. 298, 309–10; CPD, 18 Sept. 1958, pp. 435–8, 1 Mar. 1962, p. 287, 15 Mar. 1960, pp. 139–45, 1 Sept. 1959, pp. 384, 388–91, 27 Feb. 1964, p. 98, 6 Nov. 1968, pp. 1719–20, 9 Sep. 1969, pp. 548–9, 7 Apr. 1965, pp. 352–6, 4 Apr. 1967, pp. 487–9. Australian (Syd. ), 6 Apr. 1970, p. 3; SMH, 4 Dec. 1970, p. 6; Australian (Syd. ), 1 Dec. 1970, p. 2; CPD, 16 Feb. 1971, pp. 4–8; Ormonde, The Movement, p. v.
This biography was first published in The Biographical Dictionary of the Australian Senate, vol. 3, 1962-1983, University of New South Wales Press Ltd, Sydney, 2010, pp. 404-408.